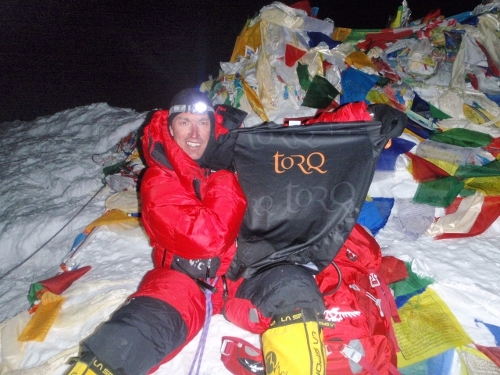 Not only has TORQ-fuelled Kenton just summited Everest for the 11th time (see picture on summit below) on the 60th anniversary of Tenzing Norgay and Sir Edmund Hillary’s legendary 1953 climb, he has also claimed the Everest Horseshoe ‘3 Peaks’ record by scaling all three mountains in the region in one climb. Kenton Cool, Britain’s most successful Everest mountaineer and the second-most successful Western Mountaineer of all-time on Everest, has summited the three mountains of the Everest horseshoe – Everest (8,848m), Nuptse (7,861m) & Lhotse (8,516m) in one climb – completing the ultimate ‘Three Peaks’ challenge. 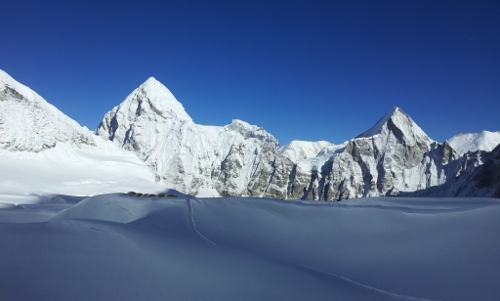 Yesterday, the Briton and his climbing companion and friend Sherpa Dorje Gylgen successfully summited the final peak Lhotse in the Western Cwm. The two men are the first to achieve the feat of summiting Everest, Nuptse and Lhotse in one trip. Everest’s ‘Three Peaks’ have never been attempted before and had been thought impossible by many due to the extreme skill and physical exertion required. 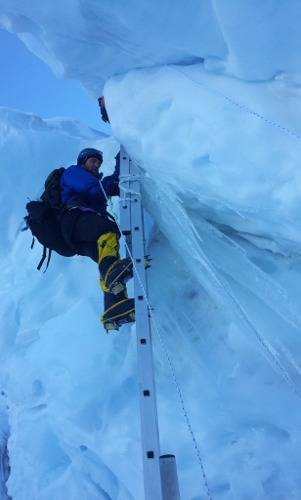 The climb also marks Kenton Cool’s eleventh summit of Mount Everest. In an e-mail from Kenton to TORQ today he wrote “Without using TORQ gels I really don’t think my triple crown attempt on the Everest peaks would have worked out, the gels gave me over 60% of my calorie intake on the last 3 days of the climb”. Obviously we’re over the moon at this news and are amazed at the scale of Kenton’s achievement. As stated earlier, the first Everest Three Peaks comes nine days before the 60th anniversary of Tenzing Norgay and Edmund Hillary’s first successful ascent of Everest in May 1953.